Inflationary device to help protect the driver and passengers in a collision. 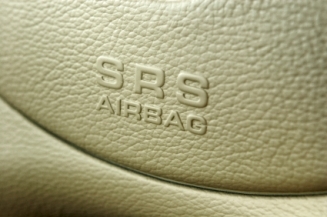 The steering wheel and clock spring may be included at no extra charge, however only the air bag is guaranteed. Cover is included when color is noted in the item description. Air Bag only means the dash or cover is not included. Certain roof air bag curtains do not fold and therefore may incur additional shipping charges.